Lake Tahoe is one of the world’s top ten wedding destinations offer a stunning wedding backdrop you won’t find anywhere else. North Lake Tahoe offers a mountain landscape of unsurpassed splendor with many amazing wedding venues and private outdoor settings to choose from. The beauty of South Lake Tahoe will leave your wedding guests speechless. From beach front to mountain top and everything in between, you will find Lake Tahoe sets the stage for the perfect wedding venue. 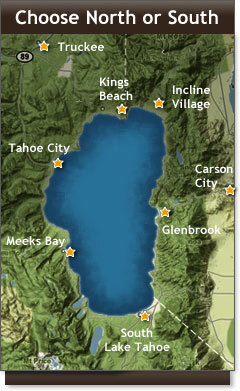 It’s the reason Lake Tahoe is near the top of the list for wedding destinations world wide.